The factory of Cornel Zimmer Organ Builders is situated twenty five miles north of Charlotte just west of Lake Norman. We have extensive experience in building new organs as well as rebuilding older instruments. At Cornel Zimmer Organ Builders we use progressive imagination and methodology in the design of our instruments. 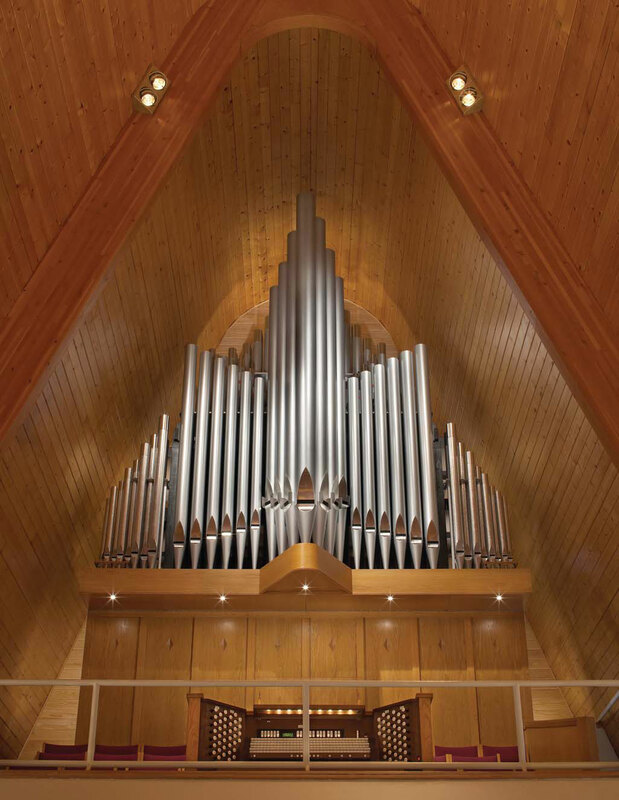 Each person on the team at Cornel Zimmer Organ Builders is here because they have a passion for the craft of organ building and we all go to great lengths to continually improve our expertise and make strides in the magnificent art of organ building. We have included background information in this package as well. Please take the time to review the rich history behind the establishment of Cornel Zimmer Organ Builders. Each Cornel Zimmer organ is created as a unique individual instrument based on the needs and desires of the church. First to be considered are the physical properties of the worship space itself. How are the acoustics? Where will the organ be located? What is the seating capacity? What are the goals the church has for their new organ? By working with various representatives of a church or other institutions, consultants and architects, answers to these questions will help shape the tonal design and layout that fits each client’s unique situation. As necessary small scale models are made for visual accuracy. Mock consoles are made for larger organs so that the organist can “test drive” the organ before it is built. Cornel always begins the design work for an organ as a full pipe organ. His inherited sense of efficiency in design and production allows him to create not only a beautiful organ but also one that is highly functional for an exceptional lifespan. If a church desires a highly versatile instrument and space or budget is limited he may determine that the use digital voices would more effectively complete the instrument. In confined spaces it simply is not effective to crowd the organ because it will have a tendency to get in its own way tonally. It is hard for 16’ and 32’ pipes to speak their way through a crowded chamber. In addition, overcrowding windchest and pipes in a chamber make servicing the organ difficult and therefore maintenance can deteriorate over the years. If it is determined that digital voices are necessary we work with Walker Technical Company exclusively because of the superior quality of their product. In each and every project Cornel carefully utilizes the artistry of European and American tradition of organ building and combines it with this new age of technology to create organs that will fully support your worship and musical programs. Today, C.A. Zimmer, Inc. (dba Cornel Zimmer Organbuilders) has completed over 135 instruments in America adding to the many thousands built by his ancestors over four generations of building. We gladly encourage open and honest feedback about our work or proposals. While we build the organ, your organization will be crucial in determining the work that we will complete for you. From design to delivery, we will work with you closely every step of the way.